IRON MAN 2! You saw the Hollywood smash - now get more of the story! Officially set in the movie universe! 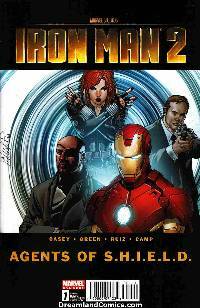 Iron Man, Black Widow, Nick Fury and Agent Coulson in action! Think you know S.H.I.E.L.D.? Check out what you DIDN'T see in the movie!